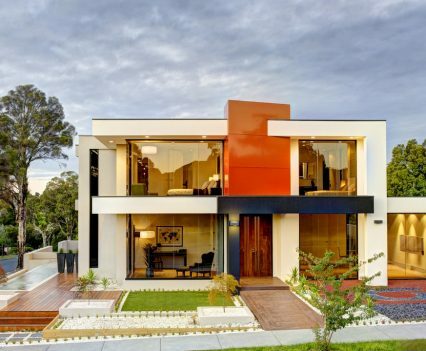 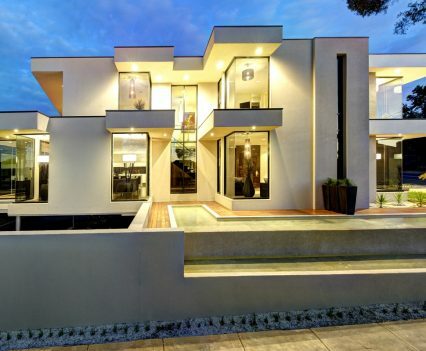 With a design influenced by aeronautical elements, the contemporary façade of this luxury custom home in Balwyn North by Grollo Homes is both striking and eye catching. 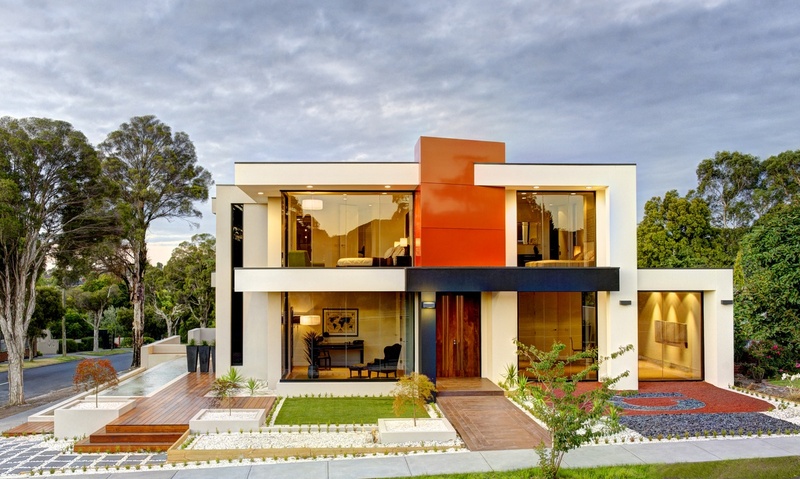 Cantilevered eaves protrude past the body of the home, just as the wing of an airplane protrudes outward from the fuselage, whilst a triangular shaped metal element represents the nose of a plane in a vibrant orange that contrasts with the blue sky above. 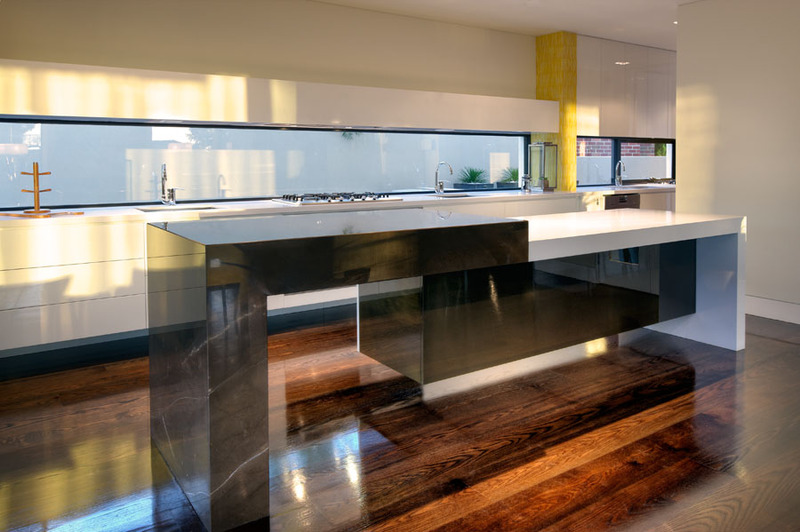 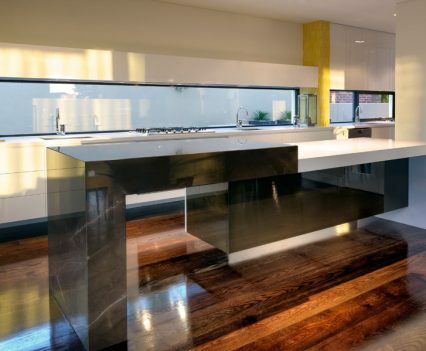 Bespoke design and quality construction are reflected in the contemporary elements of the interior such as the angular kitchen island bench that despite its stone finish appears light and airy. 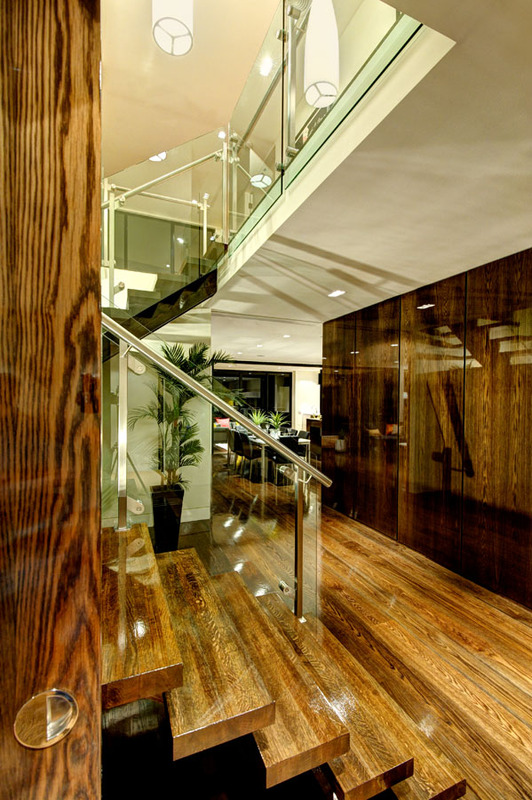 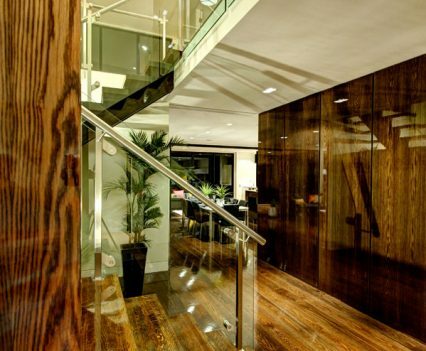 Soaring floor-to-ceiling doors and windows create a sense of grandeur and space, and American Oak flooring with a high gloss finish soften the contemporary lines of the home whilst adding a warmth and luxurious feel finish that is continued to a central feature staircase. 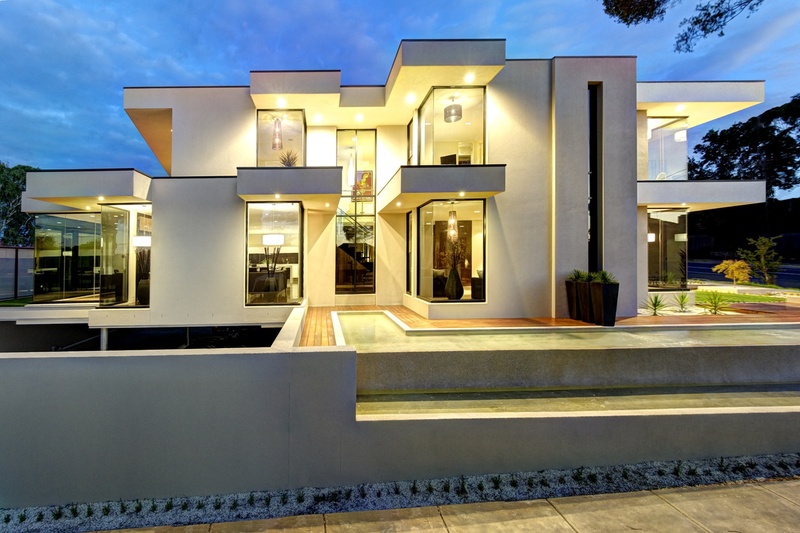 This stunning luxury custom home features in our 2017 luxury homes annual – Melbourne Custom Homes. 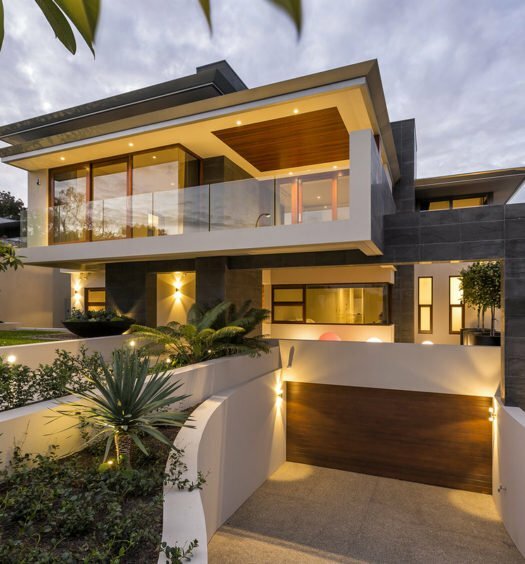 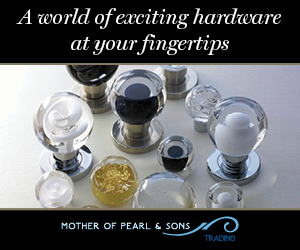 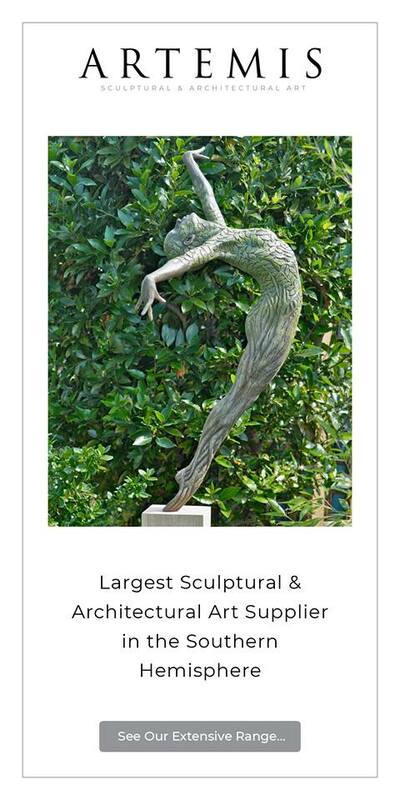 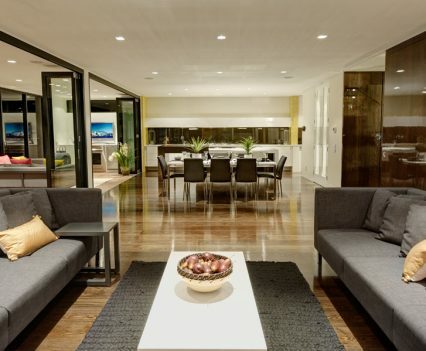 See more beautiful homes from leading Melbourne luxury home builder – Grollo Homes here.